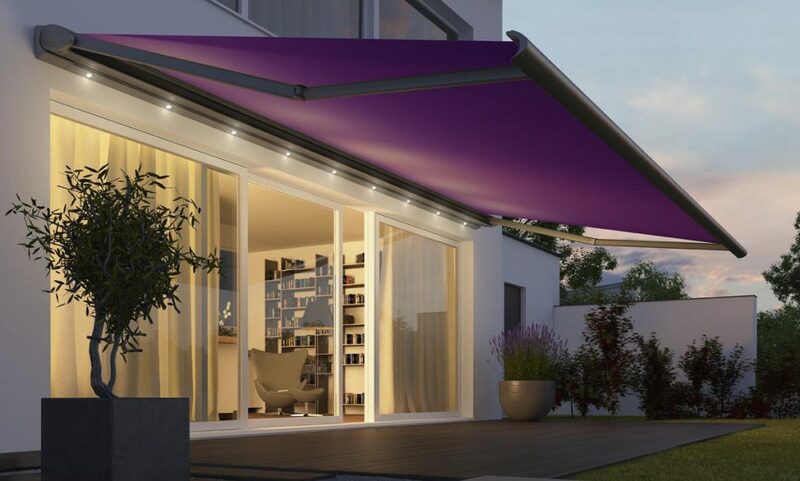 The Cassita Awning is at the cutting edge of awning design. Designed with contemporary and modern architecture in mind, the Cassita awning looks great in any modern setting, and with all of the mechanical and mounting elements hidden away the look is ultra smart and streamline. 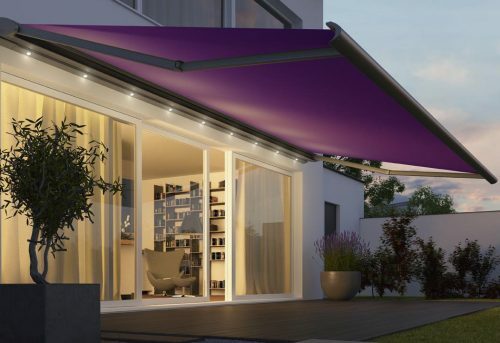 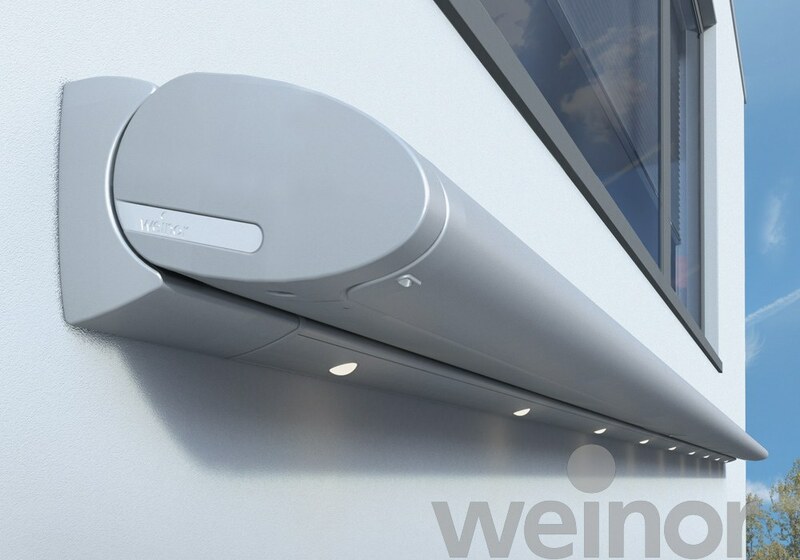 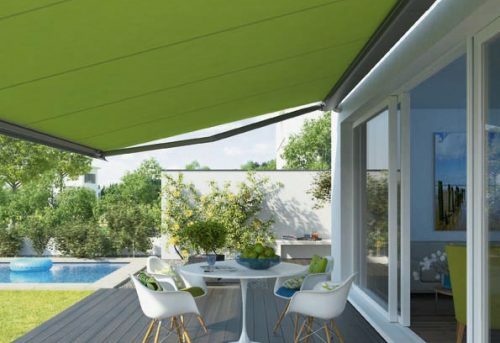 Furthermore, the awning arms have an internal tensioning system which ensures the fabric is kept taut at all times without over stretching and tests have proved this system to be particularly strong compared to cable or chain alternatives. 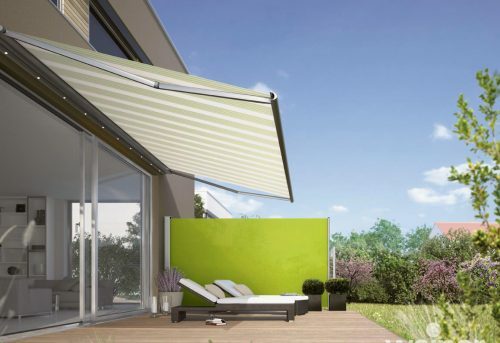 With a beautifully elegant design, new technology and slim cassette, this is a popular choice for modern homes. 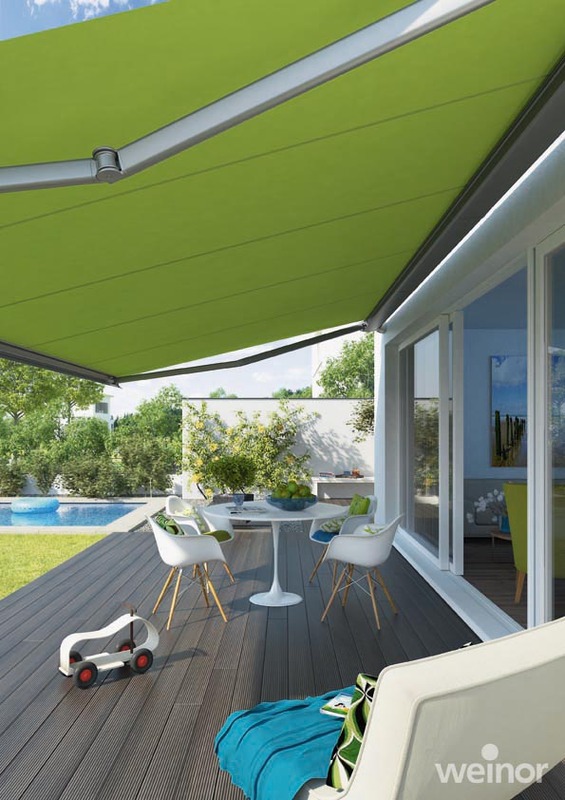 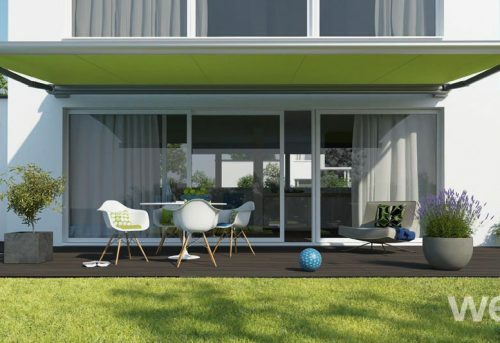 The cassette itself is of a flat oval shape with well finished end caps to fully protect the awning fabric and moving parts from the weather and outdoor environment. 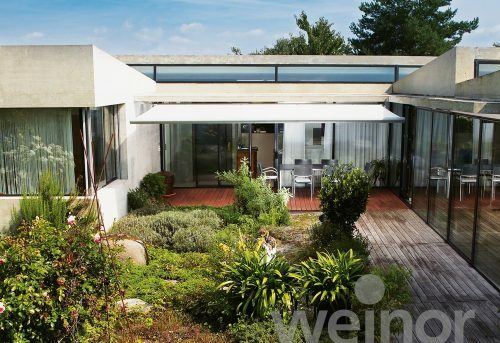 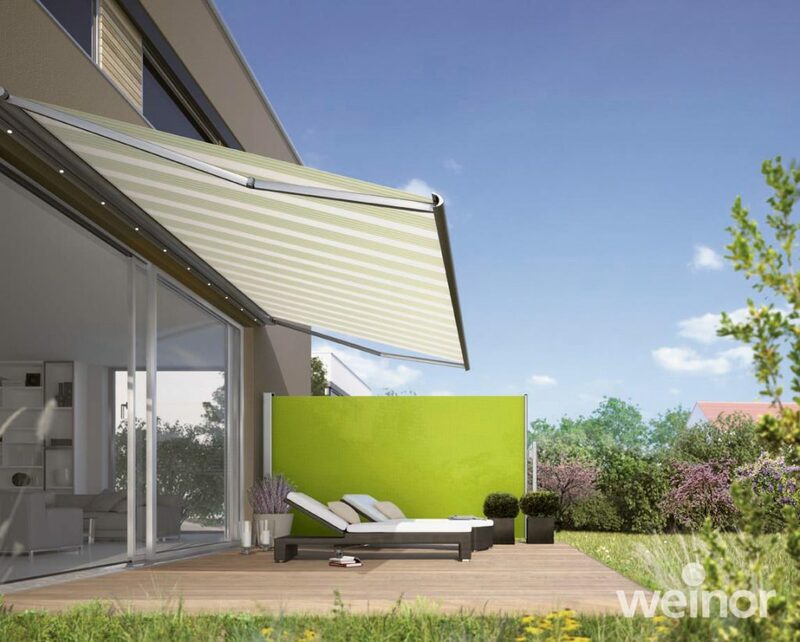 This high quality awning also features the Weinor LongLife arm which is designed to provide high fabric tension in all conditions and is extremely quiet. 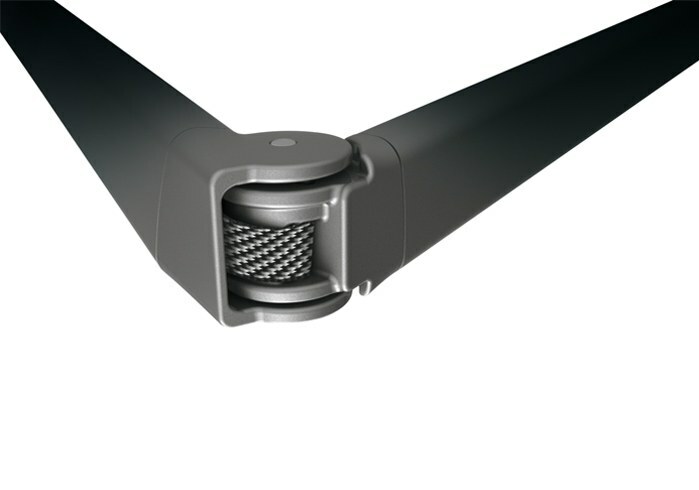 Plus, drop forged aluminium reinforcements add even more resilience. 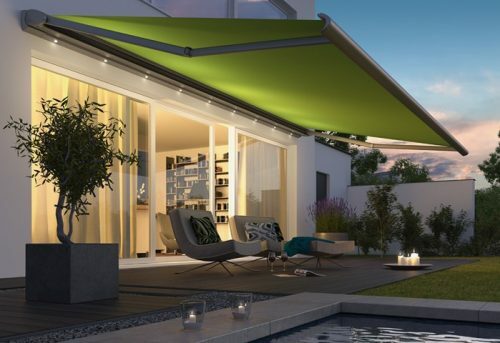 Integrated LED lighting can be fitted to the Weinor Cassita Awning for extra ambience at nightfall. Set into the underside of the awning cassette itself, the lighting bar is neat and tidy with no extra wires or fitting required.